Dave Milner is a well known figure in the world of track and field for his work with the Music City Distance Carnival and other professional track meets for emerging elite athletes. We cover his experience as an athlete of the legendary Jack Daniels, his journey into (and out of) college coaching, Letsrun notoriety, and how he found himself coaching his first national qualifier in track and field. In 1995, Dave Milner moved from his home in London, England to sunny Nashville, Tennessee to run for Belmont University. He would not graduate from this program, however, as he followed a young woman to SUNY Cortland. By absolute chance, his coach was the legendary Jack Daniels. Milner loved hanging out in Daniels’ office to talk about running – even if these conversations bled into his class time. “I was less than average at running, but pretty great at drinking,” Milner admitted. Nevertheless, Daniels was the one who suggested that Milner, who was an avid student of the sport and a Psychology and Exercise Physiology double major, take up coaching. “At the time, I was fairly dismissive of it,” Milner remembers. Twenty-five miles of his first marathon went well, but he received a crash course on “the wall” in the last half mile. Nevertheless, he found his niche helping adult marathoners qualify for big races: from the Olympic Trials to the age-graded Boston standards. Soon, he was leading Tuesday morning and night group workouts with a wide variety of committed runners of varying skill levels. Milner gleans as much information as possible from other coaches with the intention of melding their wisdom into his own unique training system. For example, Milner’s coaching is influenced by Peter Thompson and his system of “New Interval Training”. Peter is a fan of “floats” during interval workouts, wherein, rather than jogging your recoveries at a glacial pace, you just let your foot off the gas and cover the recovery jogs (say 200m) at your regular easy run pace. He would also periodically bounce ideas off coaches like Danny Mackey and Pete Rea when he had the chance to hang out with them. The ability to adjust training cycles comes in handy when Milner is working with, for example, a mom who can only run significant mileage on the weekends. Some of the adult athletes that he was coaching were high school cross country coaches, and they convinced him to get into the field. Soon, he was coaching both high schoolers and marathoners. In 2002, he was invited on as a Graduate Assistant Coach at Belmont University. He pursued his Master’s in Sports Administration while working with the middle distance runners and doing recruiting. After finishing this program, he returned to high school coaching and worked in a running store again. He led the school’s previously struggling distance program to significantly contribute to three state championships. He connected especially well with one exceptional athlete who ran 4:09 and 8:52 as a junior: the top returner in the nation going into 2007. This young man generated some buzz in the coaching community, and soon Milner found himself the recipient of a full-time, paid offer to return to Belmont University. Milner inquired if the position could wait until this high school athlete graduated, and the Belmont coach acquiesced. This gave him an opportunity to finish what he had started. Milner began coaching full-time at Belmont in the summer of 2008. “I recruited and worked with middle distance. Plus, I led strength and conditioning, which was essentially glorified core,” Milner joked. Milner then had a brief stint at NCAA DII King College, where the cross country team qualified for nationals for the first time. “They had the budget to pay for cross country, but not track,” Milner shared. In Spring of 2013, he had no way to make money. At this point, he knew it was time for a pivot. He took a job in the Running Specialty industry as an independent sales rep, and has worked with companies like Pearl Izumi, Nuun, Picky Bars, and Under Armour, while continuing to coach on the side. Milner had always had a dream of creating a new kind of professional track meet in America, so he decided to throw his energy towards growing the Music City Distance Carnival. After years of the hard work of bringing his vision to fruition, Milner laughs about a little notoriety he picked up. “I managed to get an F-bomb on the front of Letsrun.com,” he said, referring to an article on a professional track meet that he put on in South Carolina, funded out of his own pocket. “I kind of saw the sport just dying a slow and gradual death just because of the way it was presented. If you go to an average college meet, nobody in the crowd knows what the f*** is going on,” he told Letsrun.com. The quote made it to the front page of the site. Milner, like the directors of the these meets, considers himself an advocate for the sport as he seeks ways to implement these strategies. He tries to stay in conversation with the elite East-coast track clubs to make sure that the meets that he puts on are working for their athletes, and, indeed, they have cooked up a 6-meet series called the Eastern Track League (website coming in the next 48 hours) that will be announced this week. The duo found success, and Prince qualified for his first USA Track & Field championship in 2017, clocking 1:46.76 at MCDC. Seven months later, he qualified for the 2018 U.S Indoor Championships. Citius Magazine named the relatively unknown middle-distance athlete as “the unsponsored underdog you should root for at USA’s”. He made the 800m final and placed 5th. Four months later, he lowered his 800m PB to 1:46.30, again at MCDC. And at the U.S Outdoor Championships in Des Moines, he missed making the 800m final by just 0.04 seconds. Last fall, Prince joined District Track Club, a professional group based in the nation’s capital. He is in great hands now with Tom Brumlik, who heads up DTC. Although Milner no longer coaches Prince, he certainly played a pivotal role in his rise through the ranks of American middle distance running. For more in-depth content from this interview with Dave Milner, stay tuned! We will be offering an inside look at what it’s like to coach an athlete at nationals, from the perspectives of several coaches who have done just that. Chris Catton, perhaps best known as the coach of high school phenom Craig Engels, talks with School of Track about getting high school kids to the next level, starting a personal coaching service, and the state of professional running in the USA. Like most others growing up in Grand Blanc, Michigan, Chris Catton rooted for University of Michigan athletics. Ever since he was a kid, he knew that he wanted to be a coach… he just wasn’t sure in which sport! His family was in education, and coaching was a gig that fit with that job. “My dad was a track coach when I was very little and he always talked about how great the sport was and how all the best athletes are involved with it.” His family could pick up the Canadian Broadcasting Channel from their house, so he grew up watching Kevin Sullivan race for Canada. He continued to be captivated by track and field; as a college athlete at Wake Forest, Catton ran just under 1:50 for 800m: certainly a respectable performance. “If someone shares that with an athlete like Donavan Brazier or Clayton Murphy, though, that wouldn’t sound too great,” he admits. Pretty quickly, Catton began developing high-level talent at the high school level. Perhaps the most well-known of these athletes was Craig Engels, who was one of only 6 high schoolers ever to break both 1:50 over 800m and 9:00 over 3200m. Engels went on to have an illustrious career at Ole Miss, before joining the Nike Oregon Project. “Craig was likely the fastest, but [I also had] others like Jake Hurysz and Scott Morgan, who were both sub-9 3200m runners and Footlocker Finalists.” Morgan had a very successful collegiate career at UNC-Chapel Hill. 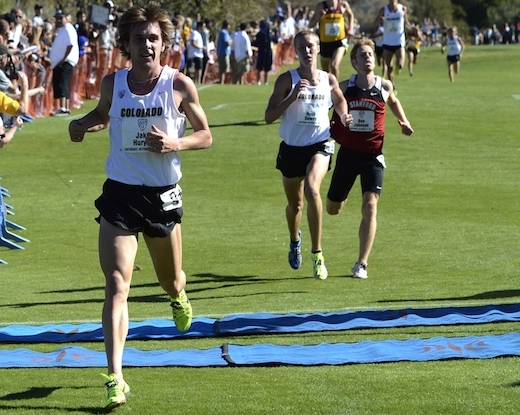 Hurysz went on to break the Colorado school record in the mile (3:58) and earn 3 NCAA DI All-American medals. He ran professionally for NJNY track club and now serves as the Operations Assistant for Men’s XC at Florida State University. Most high school coaches “know that the training, workouts, and “x’s and o’s” are only about 5% of the job,” observes Catton. “There’s SO much time, organization, and commitment that goes into coaching high school.” He suggests re-evaluating your coaching goals if you’re just in it for the training aspect of the job. A tough landscape for professional runners… and coaches! “Unless you’re a top 3 athlete at the NCAA meet, it is very hard to get a contract to support yourself,” Coach Catton mused. He’s right; it’s hard to be a professional runner. According to Sports Management Degree Hub, only about 20% of USA top-10 track & field athletes make over $50k annually, even when you include sponsorships, grants, and prize money. Shockingly, 50% of these nationally-ranked athletes actually make less than $15k per year from all of these sources. It’s easy to imagine how difficult it can be to compensate a personal coach when you are living below the poverty line. 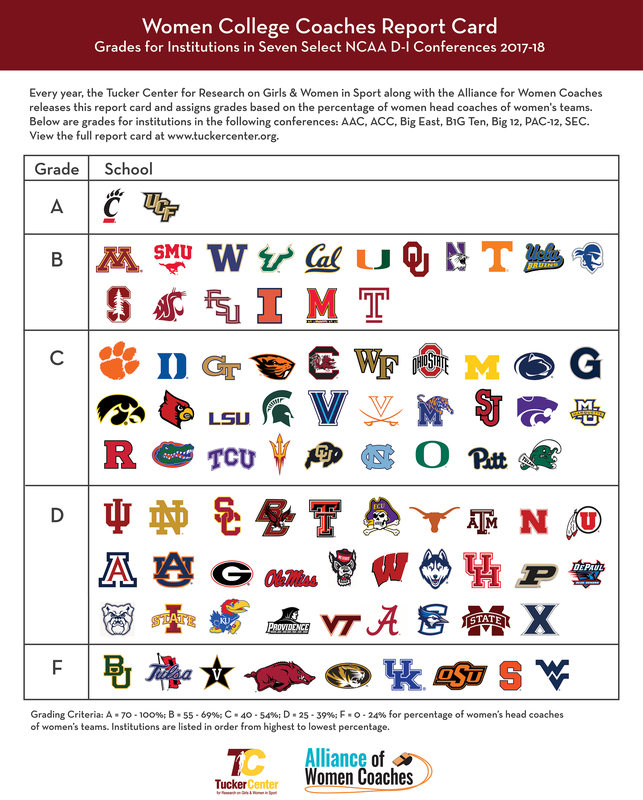 Even for our country’s top post-collegiate athletes, it can be incredibly hard to find and fund quality coaching and a nurturing training environment. “There’s only a few ways to coach in our sport,” Catton shared. At the high-school level, most coaches are also teachers. “It’s hard to have a job outside education and coach high school.” Private running coaches, on the other hand, sometimes offer their services as a “side hustle”, outside of their day jobs. Catton and good friend Tim Goldsack developed another idea that would maintain their friendship and keep them involved with the sport that they love. “We decided that we could do some outside coaching”. The best coaches are always learning from each other. Goldsack and Catton bounce ideas off each other on a regular basis.